This week controversial former basketball player Dennis Rodman led a group of retired NBA players in an exhibition match against North Korea. The match, attended by the country’s Kim Jong-Un dictator on his birthday, should have been sponsored by Paddy Power but just before Christmas the bookmaker pulled out citing "changed circumstances". The change of heart came just after the Kim Jong-Un ordered the execution of his uncle. Paddy Power has a reputation for risque marketing and its helped make the brand famous. However, the problem with having a brave culture and few boundaries is the risk of things going horribly wrong and a backlash of bad PR. As much as newspaper websites, like the Daily Mail, may love to feature your maverick stunts to entertain their readers, when it all goes sour they are also the first to make a meal of it. Their latest idea, billed as "basketball diplomacy, hoops not nukes" pushed things too far and created a negative reaction. 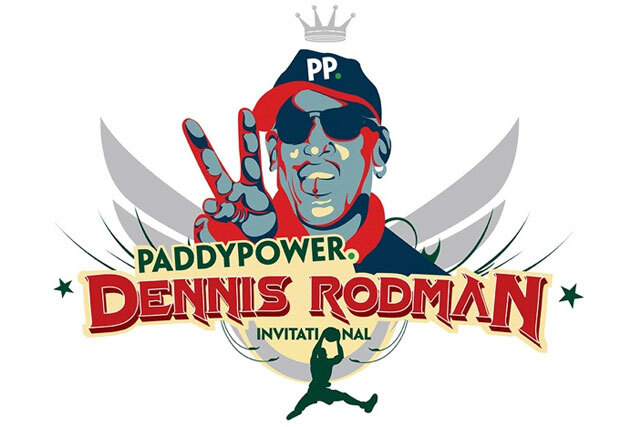 Who on earth at Paddy Power thought it was a good PR move to sponsor Rodman's visit to North Korea. Or to think it was some form of CSR? Rodman (nickname the Worm) brags about being a friend of Kim Jong-Un, who recently executed his uncle Jang Song Thaek and has a dubious human rights record having imprisoned and murdered thousands of his own citizens. It’s not a relationship that any brand should be comfortable with, and to see it as marketing opportunity for the sake of generating controversy is a little naive, if not stupid. If you’ve seen the interview with Rodman by CNN’s Andrew Cuomo you’d also wonder why any brand would want to be associated with him as he comes across as angry and incoherent. For Paddy Power to see itself as some kind of diplomatic peace maker, in a complex political world, shows the brand is living in a world of its own making rather than the real world. The problem comes when brands focus on an objective (in this case shock tactics) rather than looking at the bigger picture or the consequence of their actions. Looking back, Benetton also fell foul of public opinion when it over-stepped the mark with ads about HIV and more recently its unHate campaign. The brand’s founder Luciano Benetton, desperately trying to defend the brand, recently said:"We did not create advertisements in order to provoke, but to make people talk, to develop citizen consciousness." Covering subjects as diverse as race, disability, politics, death row, terrorism and war, Benetton is often criticised for a lack of any sensitivity and cynically using social issues to sell… jumpers. What next, Wonga sponsoring an anti-poverty campaign? It’s a delicate line you tread when you use sensitive subjects to market your brand. Fine if you are a charity or an ethical brand like Body Shop or Lush, championing ethical practices and good values, but when you are already in a less than ethical area, like betting, you can’t expect many people to rush to defend your actions. But unfortunately fame does sell, as many celebrities know, even when the PR is bad. "It’s better to be written about than ignored," is the mantra of many, and Rodman is certainly enjoying the attention right now. So despite the condemnation and its dissociation from the venture, this ill-fated stab at CSR could probably end up fuelling Paddy Power’s maverick reputation and contributing to its business growth. Irreverence in marketing: when is it right for brands to #lol?